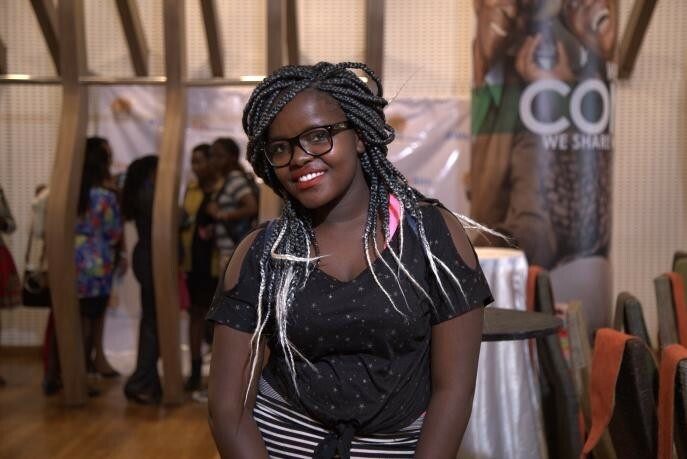 Young women in Kibera are more likely to face some of the world’s most urgent challenges which can often prevent them from fulfilling their potential. In addition to struggling with extreme poverty on a daily basis, girls living in Kibera often face tragedies like early marriage, sexual violence, and female genital mutilation. Furthermore, less than one percent of girls in Kibera have access to a girls-only space or program. Giving girls a safe space, both physical and emotional, in which to express themselves is crucial to helping them escape poverty and leverage important opportunities. With this idea in mind, we built and opened a brand new center for our Binti Pamoja program in March 2018. Tripling the space of our previous program site, the new building features a conference center, a space for a computer lab, a kitchen with dining area and a number of staff and volunteer office spaces. Our 3-story center, a first of of its kind in Kibera, is for the girls of Kibera, providing them with a permanent space to call their own. Now that the roof has been raised, we are looking our partners and our supporters to help us outfit the new center. Kitchen appliances, furniture, telecommunication equipment, computers and software, office supplies, landscaping – you name it. We need it. Please consider making a donation in support of our Binti Pamoja program today. Invest in girls. Change the world. Click here to view photos from the Binti Pamoja Center's grand opening on March 21, 2018. 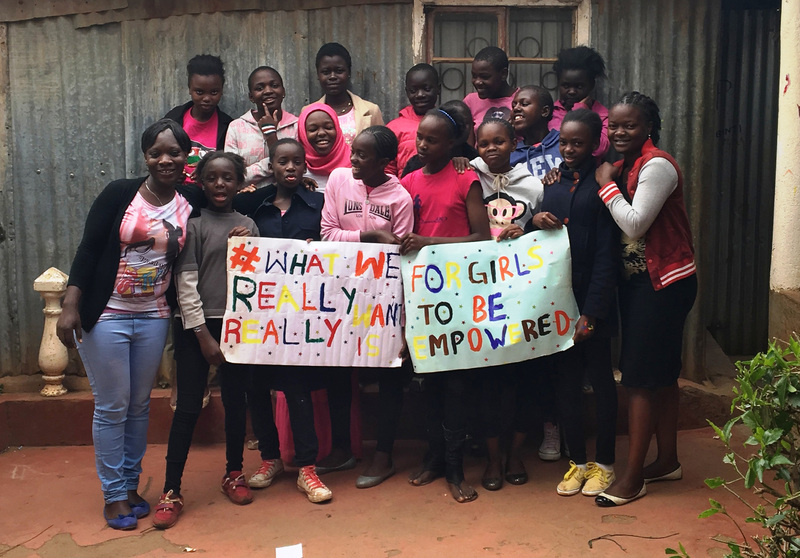 Our Binti Pamoja Core Program serves more than 3,000 girls ages 9-20 annually, and helps girls discover their personal leadership and build confidence. Using arts activities like photography, drama, and dance, the program mentors and empowers girls with sexual and reproductive health education, as well as other critical training and life skills. Girls also face unique and greater barriers to success as entrepreneurs, in the workforce, and as leaders in their communities. We give girls the tools to tackle these barriers so they can improve their own livelihoods and become drivers of development. We are closing the skills gap through practical, experience-based education including financial literacy, the formation of savings groups, and skills training including income-generating activities. Young mothers living in Kibera drop out of school due to a variety of a reasons that include the inability to afford the cost of tuition, lack of child care services and lack of support at home. Informed by conversations with young mothers and with a holistic model in mind, our team developed CFK’s new Funzo Teenage Mothers Project. This program allows girls to re-enroll in school by providing tuition assistance in conjunction with both child care provision and early childhood nutrition services. In our first quarter, we have already enrolled 450 teen mothers in this program. Read more about our Girls' Empowerment programs. After finishing high school, Martha did not know what her next steps would be. With both financial concerns and her parents' recent separation, she was not sure how she could continue with her studies. After sharing her story with a friend, Martha learned of CFK's Information & Computer Technology Initiative for girls, and took steps to enroll. We are investing in technology initiatives to empower a generation of youth, especially girls. The Girls Training Center is a cornerstone of our technology initiative and was created exclusively for girls interested in learning information technology. In partnership with other digital partners, our computer lab programs offer girls training in different aspects of multimedia, web and graphic design, online research, and coding in different languages. Our initiative develops the whole girl: educating her mind, supporting her health, and helping her secure future success. Beyond computer skills, girls learn about entrepreneurship and life skills, including topics like marketing and branding, self-esteem and confidence, and reproductive health and wellness.